Hello. 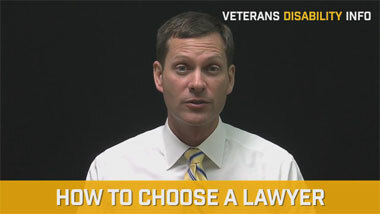 I’m Eric Gang, the veterans’ disability attorney. 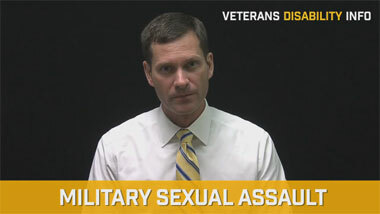 Today, I want to talk to you a little bit about the two primary reasons why V.A. denies PTSD claims. Normally, V.A. will deny you for either one of two reasons. First of all, they’ll try to deny you on the grounds that your stressor is not corroborated. Now, stressor, it means that incident or event that triggered the onset of your PTSD. Under V.A. regulations, they’re not going to accept your word for it unless you are in combat and you can establish combat exposure. The second reason is that they’ll deny you because they say you don’t have a bona fide diagnosis of PTSD in accordance with the Diagnostic Statistical Manual Version 4. So, basically, you need to look to determine what is the real reason why V.A. is denying you for the PTSD and then try to address that particular issue. For instance, if they’re saying you don’t have a diagnosis under the DSM-4, then you really need to go out and get a private medical opinion from a psychiatrist or psychologist who will nail down a solid DSM-4 diagnosis for PTSD. On the other hand, if the issue is a stressor, then you need to make sure you can take steps to make sure that stressor is verified. Again, unless you’ve been in combat, they’re not going to accept your word for it that something happened. So, you need to make sure that V.A. has done the proper research. You need to make sure that perhaps you can reach out to buddies that you served with who can help to verify what took place. You also need to consider the new amendment that took place back in 2010 of the V.A. regulations. Basically, in that amendment, you can establish the stressor by demonstrating that you were in a combat theater of operations and that you were in constant fear of a hostile attack. And, if your stressor is related to that, then you may be able to establish the requisite requirements to obtain Service connection for PTSD. 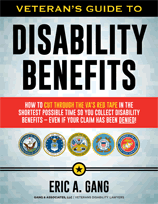 Regardless, in many complex PTSD cases, it can still be very difficult to win these claims. If you’d like to find out how we may be able to help you, I invite you to contact us.